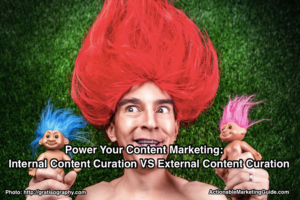 Which is better for your content marketing: internal content curation vs external content curation? 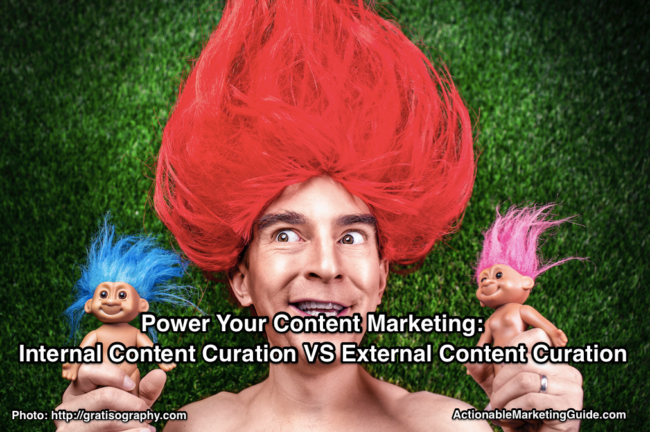 You may not realize there’s a difference between internal content curation and external content curation. 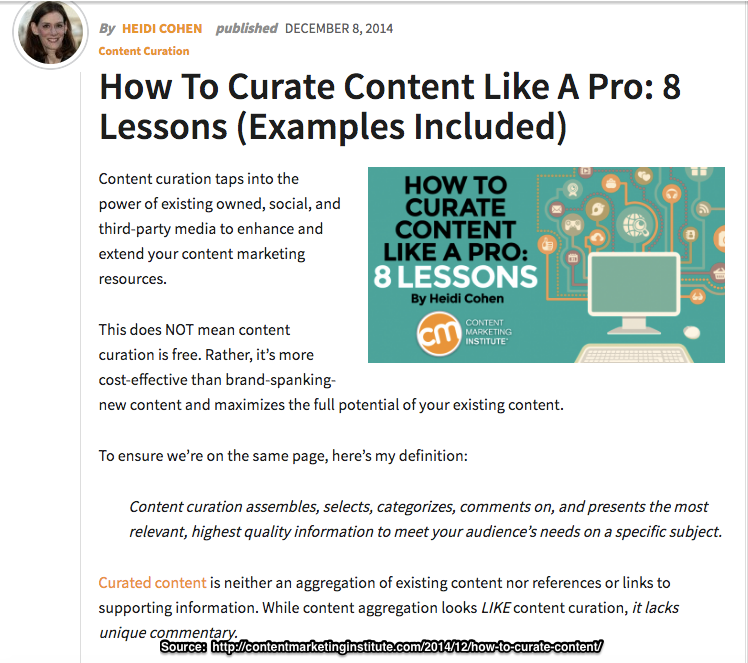 Content curation is a newer form of content marketing. It’s still gaining traction. Despite growing content budgets, marketers must attract attention cost effectively. Content curation accomplishes this. Content Marketing Institute’s Joe Pulizzi hired Jodi Harris as the Director of Content Curation. Pulizzi’s a smart guy. Despite getting a ton of unsolicited, qualified resumes, he hired from within. 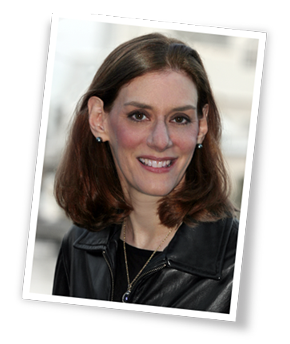 Harris knew Content Marketing Institute’s brand, voice and content. Require human editorial selection. It’s not aggregation that can be performed by a machine. Supply tailored editorial commentary to provide context for each piece of information. Must link to the original content and source. 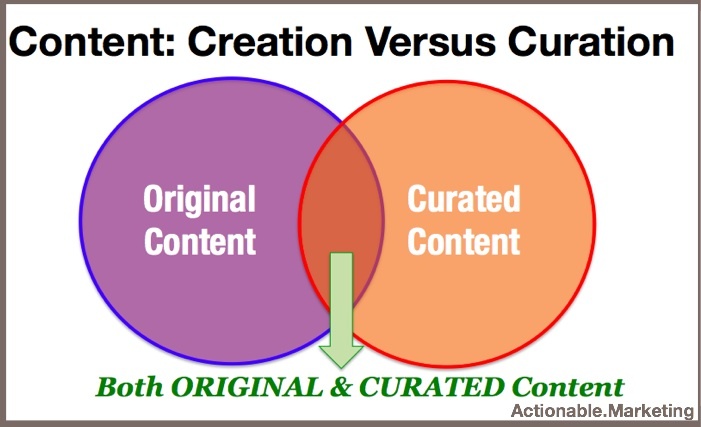 The main difference between internal and external content curation is who created the original content before it’s curated. Focuses on your owned content. Includes all the information your organization produces. It’s not limited to content created by your marketing department. Tap into sales and customer service!!! Requires intelligent content (metadata and systems) to retrieve relevant information when appropriate. Content audits keep your content up-to-date. Connects your older, relevant content to newer content, refreshes it and keeps it top-of-mind. Maintains your brand. For most content this translates to a consistent voice and style. This identifies your content if it’s seen off of your owned media. Takes advantage of other people’s content. It’s created by third parties. This includes social media and your customers. Tap into the power of other people’s strong content. Play nice and give credit where it’s due. Shapes context of third party content. You add your commentary, voice and context to third party content. Positions you in your niche. It makes you a tastemaker. More importantly, you reduce the me, me, me. This makes your audience pay more attention to you. 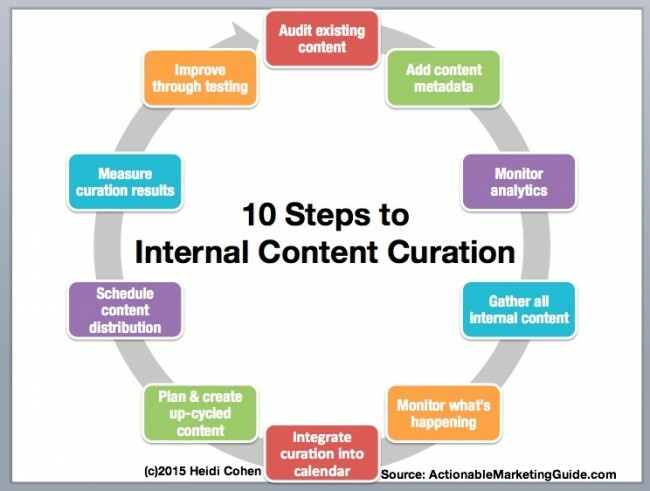 Both internal content curation and external content curation help your content marketing budget. They reduce content creation costs. They tap into content your audience might not otherwise see. Increases visibility of existing owned content. You expose new visitors to content they might otherwise miss. It’s hidden deep within your site or blog. Lowers content creation costs. 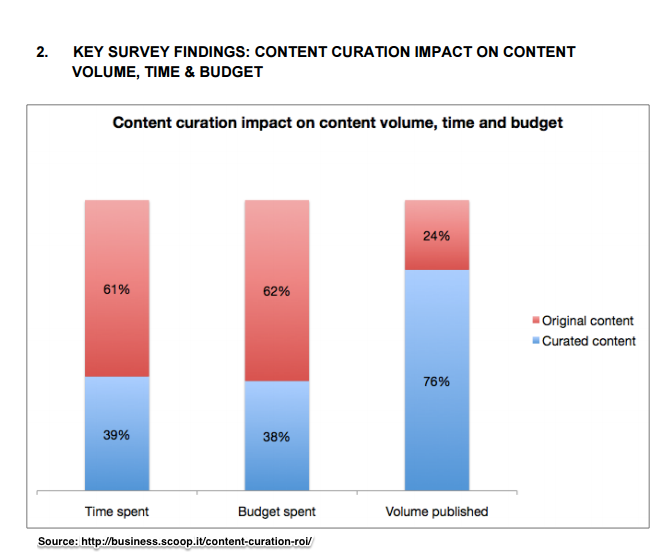 Content curation costs are lower than fresh content. Improves content marketing ROI. You’re getting more value (traffic and related metrics) from existing content. Builds relationships with influencers and content creators. By using their content, you help them. Extends your reach. By using other people’s content and mentioning them, you tap into their audiences. Lowers your content creation costs. Like internal content curation, it lowers content creation costs. Instead you use third party content. Requires a back catalog of relevant and quality content. Needs human editorial selection and commentary. It’s not machine run aggregation. 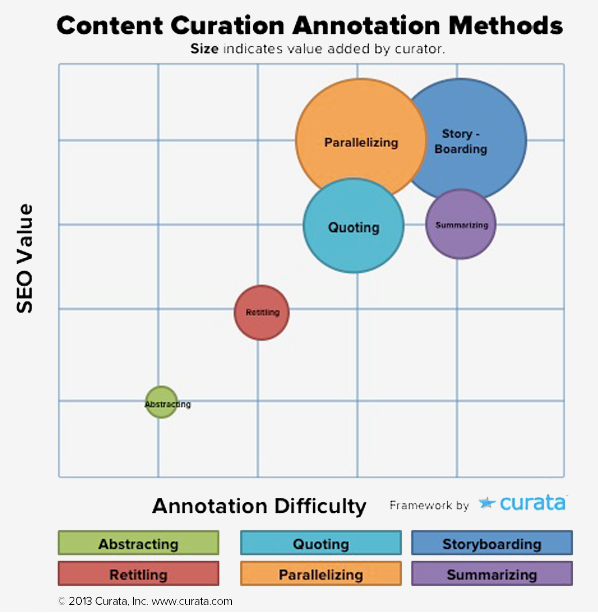 To understand the difference, read content curation versus content aggregation. Requires guidelines when considering competitive content. Must check intellectual property rights. Further it requires links to the original and the amount of content must limited to Creative Commons standards. Need help knowing what to do? Here it is! Highlight related internal resources to keep readers on your site or blog. 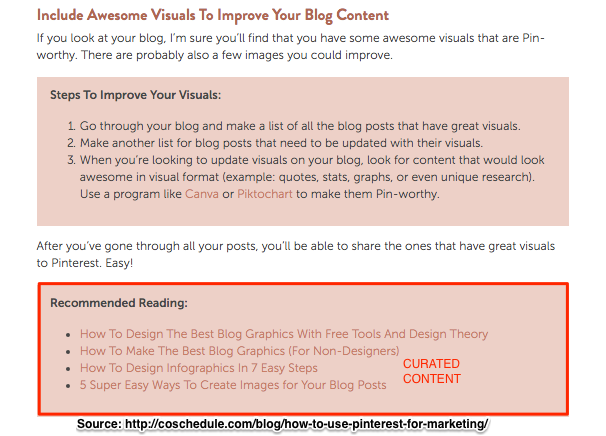 Curate your existing content into a new piece of content. 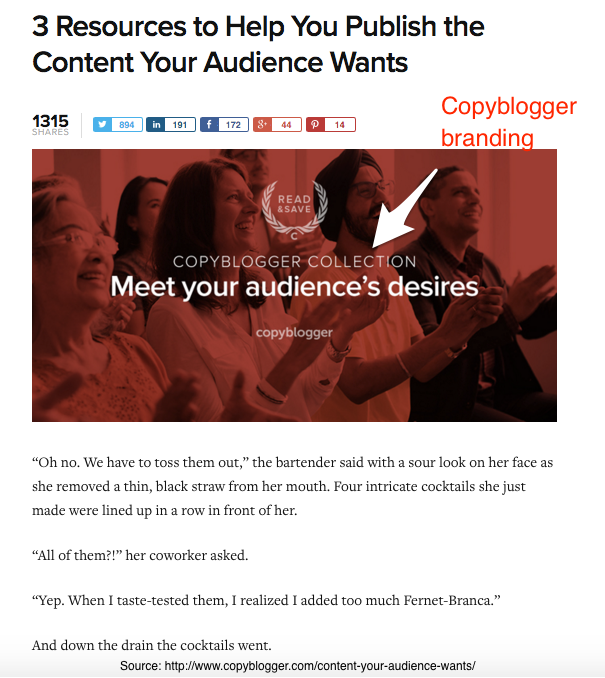 Copyblogger does a great job of this. They use a consistent visual. 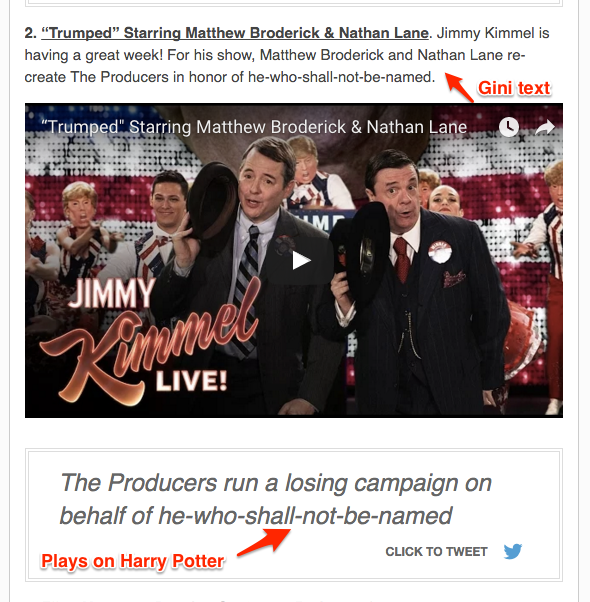 External content curation creates new content using third party sources. 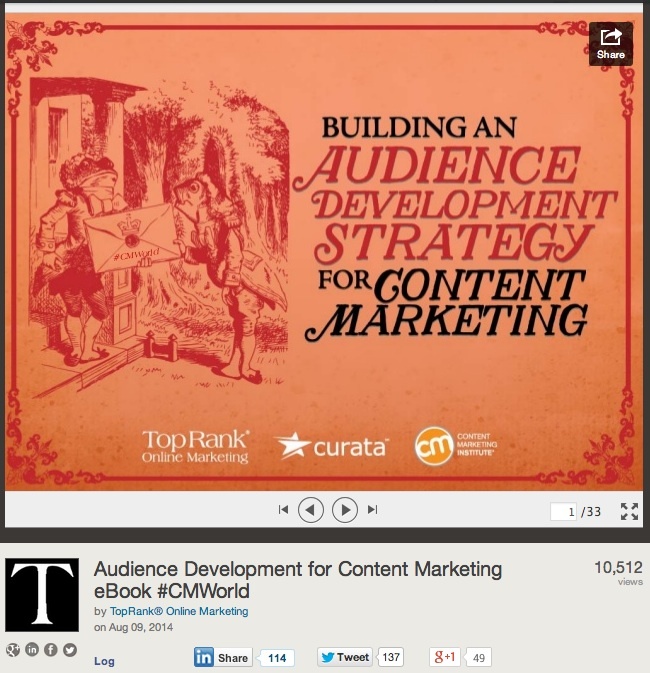 Here’s an example of a high performing article I wrote for Content Marketing Institute. It’s still driving traffic 2+ years later! BTW, here’s how it looks in a blog post. 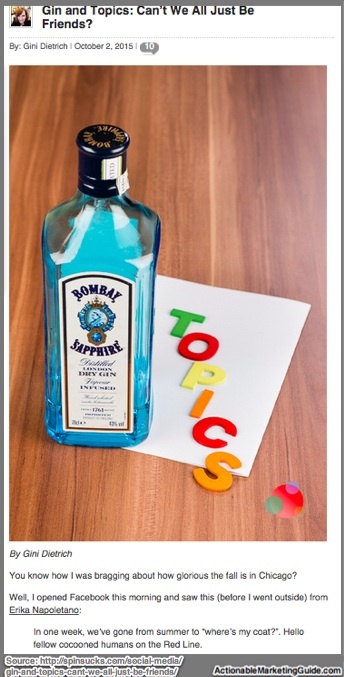 Gini Dietrich writes Gin and Tonic every Saturday. 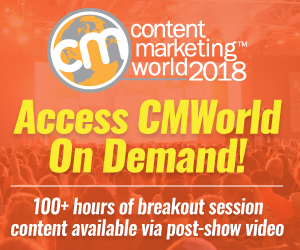 In today’s attention-poor market, content marketers need ways to attract prospects with quality content that breaks through the clutter. More content creation isn’t the answer. Internal and external content curation is! It leverages the power of proven quality content. Even better it taps into other people’s audiences. Use a mix of both internal and external content curation to augment your content marketing mix. Tags Co-Schedule, Copyblogger, Gini Dietrich, Jodi Harris, Joe Pulizzi, Lee Odden, Scoop.It. Bookmark the permalink.